3 Reasons To Hire A Cleaning Service For Your Elderly Loved Ones - Custom Maids, Inc. If you have elderly loved ones, be it family, friends, or neighbors, you know how difficult it is to keep in touch and keep an eye on their safety. Have you ever considered gifting them with temporary or long-term maid service? Check out these unexpected benefits of hiring a maid for your elderly loved one. Plenty of Americans already neglect big house-cleaning jobs like wall-scrubbing and curtain-washing. The EPA recommends that carpets be deep cleaned at least every six months, but only around 55% of homeowners actually comply with that suggestion. Some bigger cleaning projects like lugging around a carpet cleaner or reaching for high-hung curtain rods are just too much for older folks to handle comfortably. One of the benefits of hiring a maid is ‘borrowing’ the use of a maid’s muscles to get those big jobs done safely. The lives of the very elderly can be, well… boring. Loneliness and depression are very real dangers in the senior community, and they bring other negative effects like advanced dementia and poorer physical health. Finding a maid service who doesn’t mind shooting the breeze while cleaning gives an older person a chance at some much-needed light social interaction and activity in their home. Dirty homes are bad for the elderly’s health due to mold, dust, and fall risks from clutter. But you know what else can be harmful to the elderly? Extensively handling cleaning materials. The fumes can have negative effects on sensitive respiratory systems, and cleaning can be a lot of dangerous up-and-down movement for someone who’s not so spry anymore. If you’re concerned about the state of your loved one’s home AND about them cleaning it themselves, hiring a maid service gives you peace of mind. It’s sad, but it’s true: elderly citizens are often neglected by our society. Even dutiful families and neighbors get caught up in their lives and don’t visit their elderly loved ones as often as they should. 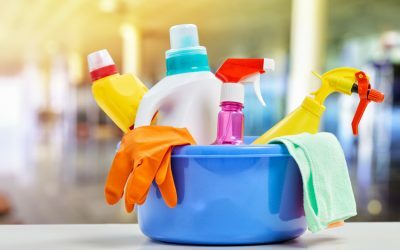 Sending a helpful gift like dependable house cleaning services lets your elderly loved one know that you’re thinking of them and their well-being. It might not be the first thing that comes to mind when you think of a cleaning service, but providing companionship, showing love, and securing peace of mind are all genuine perks of hiring a maid service for your older neighbor or great uncle.